Although the Australian and New Zealand Society of Paediatric Dentistry had been in existence since 1972, initially as a Society of Dentistry for Children, it was during the late 1990s that it became increasingly evident that a separate organization of Specialist Paediatric Dentists was necessary, which could meet in its’ own right and speak authoritatively with Government, the Dental Boards and Australian Dental Association on key matters of particular concern to Specialists in Paediatric Dentistry. Such matters included ‘Standards of Care’ and the Medicare Cleft Lip and Palate scheme. An Academy of Paediatric Dentistry, similar to those that existed in Europe, America and Canada and to be known as “The Australasian Academy of Paediatric Dentistry”, was suggested and agreed upon. Membership of the Academy was to be open to all dentists registered as Specialists in Paediatric Dentistry with their State Dental Boards. A second (organizational meeting) was held in Adelaide on 16th March 1991 in conjunction with the 26th Australian Dental Congress. The Third meeting (again a business meeting), was held on 10th March 1992 in Auckland (in conjunction with the First Asian Pacific Meeting). At this meeting our AAPD Logo was adopted. A Fourth business meeting and the First Clinical Meeting were held on 6th May 1993 at the Hyatt Regency Hotel Perth, when our original Constitution and By-Laws were approved. On December 6th 1993 all other International Academies were notified of the formation of the Australasian Academy. Members of the Academy (AAPD) were expected to also be members of the Australian and New Zealand Society of Paediatric Dentistry (ANZSPD). 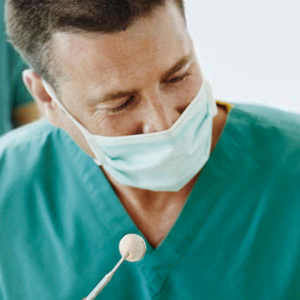 The concept was that AAPD would be the specialist ‘political’ arm of Paediatric Dentistry in Australia and New Zealand, while ANZSPD would continue to focus on the oral health of children and would be involved in providing policies, professional development and in public relations for all Australians and New Zealander dental practitioners and post graduate trainees, utilizing its membership, consisting of interested general practitioners, Specialist Paediatric Dentists, other dental specialists, such as Orthodontists, and interested ancillary staff. During 1994 the AAPD Executive explored the requirements for Specialist Registration and Post graduate training. The fifth meeting and second Clinical Meeting were held on 24th August 1995 in Queenstown New Zealand. Future meetings were planned to coincide with the biennial conferences of ANZSPD to avoid difficulties in the attendance of AAPD Members at multiple meetings. The one-day clinical and business meetings of AAPD came to be held on the day preceding the opening of the much larger ANZSPD Conference. It was recognized however that eventually it would be desirable for AAPD to hold separate meetings. The first of these was held on Saturday February 2, 2002, at the Cope-Williams Winery, Romsey, Victoria. It was at this meeting that the original AAPD Website was proposed. Since that time the Australasian Academy of Paediatric Dentistry has continued to meet annually, independently of ANZSPD where appropriate, and in conjunction with ANZSPD when convenient. Members of AAPD continue to be active participants in and supporters of the ANZSPD while fulfilling their mission to advocate for Specialist Paediatric Dentistry.